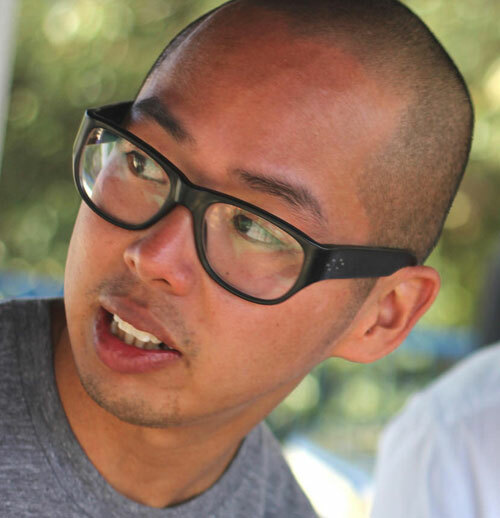 Ken Tsui is a filmmaker and edible pop-up event producer who was raised in a Chinese-Canadian restaurant. Whether he’s writing food stories, making a documentary on a model plane fanatic, directing a music video for Defektors, setting up a Twin Peaks pop-up coffee and pie shop, or helping to re-invigorate the Chinatown Night Market, he’s always doing it full-on with a smile. He currently spends his spare time cracking jokes on a podcast called “On Second Thought” and has developed a reputation for being a surprisingly competent dance machine. With the annual Capture fest on the immediate horizon, we thought it wise to ask Ken Tsui about how to make the most of it. From lamps to chairs, Conrad has his hand in elevating everyday home fixtures inspired by his background in photography. Gather at the farm's long table for a collaborative dinner anchored by chef Jesse McMillan of Campagnolo Roma. This fellow holds it down with great drinks (and tunes) at the much loved Camp Upstairs on Main Street. If you're not biting into a dumpling from a bamboo basket at some point in your time here in Vancouver, then you haven't fully experienced what we have to offer.